It can therefore be assumed that the lotus flower meaning is different between cultures, though in fact they share many similarities. I would like to explain how some of these associations came about, and I will therefore split up this article into three main sections, based upon the three main groups, that is to say that of the ancient Egyptians, the Buddhists, and Hinduism. 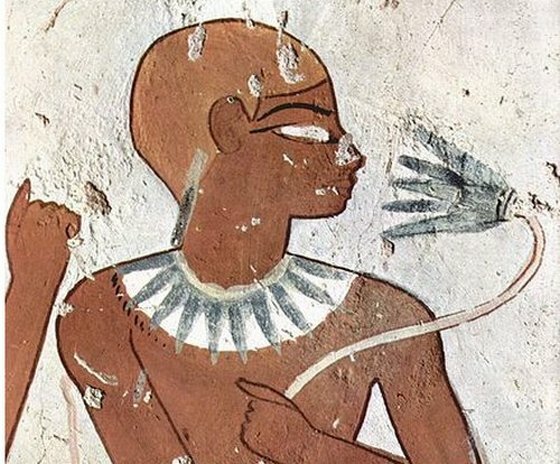 Anybody who has taken a look at Egyptian culture cannot fail to have noticed the significance of the meaning of the Lotus flower in their culture. In ancient Egypt there were two main types of lotus that grew, the white, and the blue (scientifically a waterlily, but symbolically a lotus). Further to this another type, the pink lotus flower was introduced into Egypt sometime during the late period of their civilization. If one is to observe the many hieroglyphics, it is easy to see that the blue Lotus flower is the most commonly portrayed. As mentioned in the introduction above about the meanings of the lotus flower, this plant is known to be associated with rebirth. This is a consequence of it supposedly retracting into the water at the night, and emerging a fresh in the Sun the next day (see the introduction for how a lotus plant actually comes into bloom). The Egyptians therefore associated the lotus flower with the sun which also disappeared in the night, only to re-emerge in the morning. Therefore the lotus came to symbolize the Sun and the creation. In many hieroglyphics works the lotus is depicted as emerging from Nun (the primordial water) bearing the Sun God. In Buddhism the lotus is known to be associated with purity, spiritual awakening and faithfulness. The flower is considered pure as it is able to emerge from murky waters in the morning and be perfectly clean. Therefore in common with Egyptian mythology the lotus is seen as a sign of rebirth, but additionally it is associated with purity. The breaking of the surface every morning is also suggestive of desire, this leads to it being associated with spiritual enlightenment. Buddha atop a Lotus Flower. Perhaps one of the strongest associations of the lotus flower with religion is that that is observed in Hinduism. In this religion the lotus flower meaning is associated with beauty, fertility, prosperity, spirituality, and eternity. 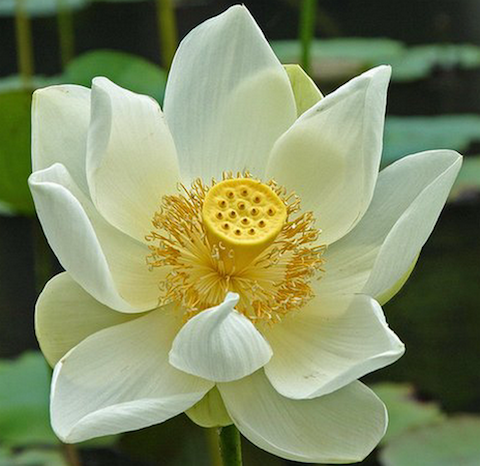 The most common lotus form seen in Hinduism is the white lotus flower. The beautiful white lotus flower has special significance in Hinduism, where its meaning is strongly associated with Laxmi and Brahma. Image by Matze_ott. 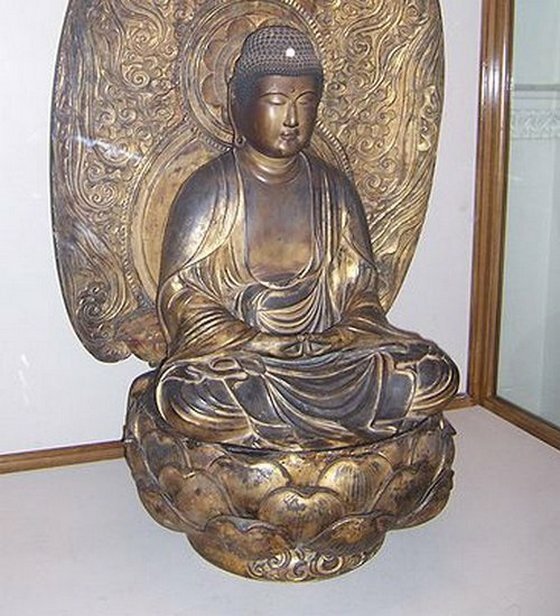 As a lotus is able to emerge from Muddy Waters un-spoilt and pure it is considered to represent a wise and spiritually enlightened quality in a person; it is representative of somebody who carries out their tasks with little concern for any reward and with a full liberation from attachment. The following video shows a timelaspe of a Lotus Flower slowly opening up to display in all its glory; truly beautiful. It is hoped that you now have a better understanding of the lotus flower meaning across the three major cultures in which it is known to play (or have played) a major role. It is no wonder that these civilizations, have found wonderment in such a beautiful flower. If you have enjoyed reading this content, then you may also like my gardening site. All the content on this site is written by Dean Ravenscroft and is original, please do not copy elsewhere without referencing this site as being the original source. Book of the Dead; Nefetem; Wikimedia1; 2; Lotus Sutra; Vaishnava; Iconography of the Buddha; Sistak.